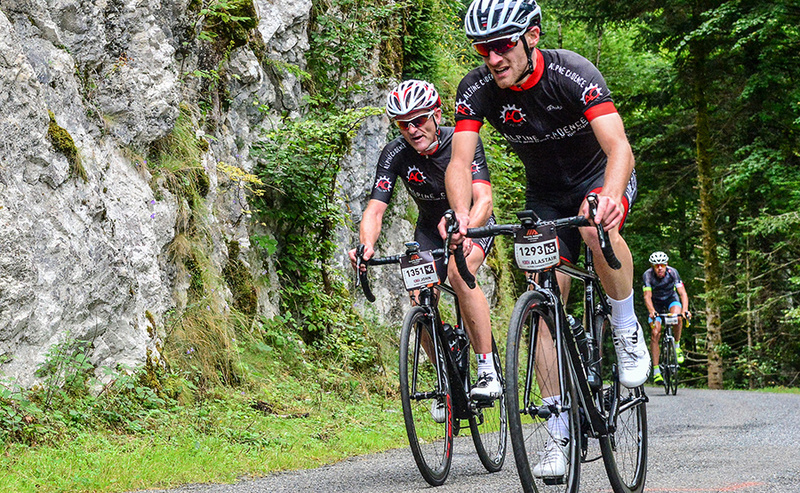 The Haute Route is, quite simply, the best amateur cycling event that we've come across. For 2019 we are very excited at the prospect of supporting and riding both of the Haute Route 7 day events in the Pyrenees and the Alps. Haute Route Alps is a 7 day stage race with rankings/general classifications. An incredible event and one that gives the rider an unparalleled 'pro' experience. We will be providing an accommodation and support package for riders, ensuring that you can enjoy this event to the full in the knowledge that all your logistics are taken care of. Haute Route Alps will start on August 25 in the beautiful Alpine town of Megève. 7 challenging days later will see the event culminate in Nice on the Cote d’Azur. Full details of the exact route will become available on the Haute Route website in the weeks to come, we already have enough inside information to know that the 2019 route will be truly spectacular with a host of classic climbs on the agenda. Entries for the event are done on the Haute Route website and should be done as quickly as possible to secure the best price. The entry fee to the Haute Route itself includes a host of benefits that are outlined on their website. The Haute Route entry does not include accommodation. Our accommodation and support package is carefully designed to make sure you get the best possible environment to ride and enjoy this big challenge. For 2019 we will also be providing accommodation and support for Haute Route Pyrenees from August 17-23. Why not do the double! The 'Infinity' pass now available from the Haute Route organisers means that for approximately the price of one 7 day Haute Route event you can enter as many as you like! This makes doing the 'double' a much more affordable proposition than ever before. Training advice/coaching in all the months leading up to the event. Alpine Cadence team kit available at cost price. Welcome pack of energy bars, gels and Alpine Cadence bidon. Cost - the price of our accommodation/support package will be available shortly after the official route announcement of the event. Not sure what level of rider you need to be to complete the event? Drop us a line to discuss this. We will only encourage you to join us if we are confident that your riding level is strong enough. That said, the 'cut off' times in the event are generous and it's an event that's very achievable for most keen road cyclists. We pride ourselves in the fact that all the riders who have joined us for Haute Route in previous editions have all completed the event comfortably within the time limits, a record we intend to continue. Please contact us if you'd like more information or to register interest on this trip.